Many of us watched those famous movie franchises during the 1980’s and early 1990’s and dreamed of the day we could float to and from with free will, the hoverboard was really the stuff of dreams and, as they are still often depicted – will remain a source of wonder and wistfulness. Many have tried; and failed to persuade us that we really can float randomly and with controlled expertise, but at least contemporarily – we can opt for the next best thing until science fact catches up with science fiction. Modern hoverboards are technologically breaking boundaries and are providing us with a superior and exciting ride, the new ‘floating’ skateboards and longboards are a step closer to the dreams of independent riding. The design of hoverboards does vary and will demand some tricks and spills as we learn to manoeuvre them in skilful and controlled manner. But regardless of the amount of trips, falls and bumps we have the effort is more than worth it once we have mastered the fundamentals enough to have a smooth and fun ride. This review is written to help you look a little clearer through the maze of different hoverboards, the choices available today is vast and the features of each of the top ten best will pick out some items you may want to consider when you are looking for your ultimate hoverboard. The seven remaining on the list all have features that differentiate them; and will provide a broader overview of some of the top hoverboards on the market today. This hoverboard is available in seven striking colors that are contrasted in a smart design style and has been created and crafted in Denver, USA. It has UL 2272 certification for confidence in the safety aspect of all of its electrics, charging system and battery, and it features LED lights for a spectacular showy ride. It boasts being useable in a mere five minutes from beginner to fully fledged rider in no time. The hoverboard is made to be eco-friendly high-quality materials and boasts a two-hundred and twenty-pound weight capacity, this makes it ideal for most and offers a long ride time with the certified battery and charger. The GOTRAX Hoverfly ECO has two two-hundred and fifty-watt motors that enable a speedy ride of up to seven-point four miles per hour, this is achieved with quality building and certifiable assurances that give a faster, longer ride. The relative balance between both cost and value means that this hoverboard is genuinely great value for the price, the UL 2272 certification along with the powerful motors give confidence that the hoverboard has been designed with ultimate fun and safety in mind. 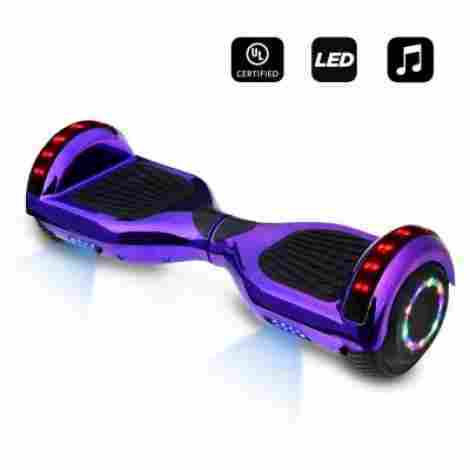 This hoverboard is available in three striking and contrasting color combinations; red, blue and black and each one is fully Bluetooth enabled that gives variable choices when connected – it is able to perform a battery check, play music through speakers and apps and also can access maps. The hoverboard has two powerful one-hundred fifty-watt motors that boast the ability to enable the use on inclines of up to thirty degrees; and offers speed up to seven-point five miles per hour. The Swagtron T580 benefits from having three settings so makes it versatile for multi-level use of anybody from beginner to expert. It can travel a distance of up to eight miles on a single charge and boasts being able to carry weights in excess of two hundred twenty pounds. 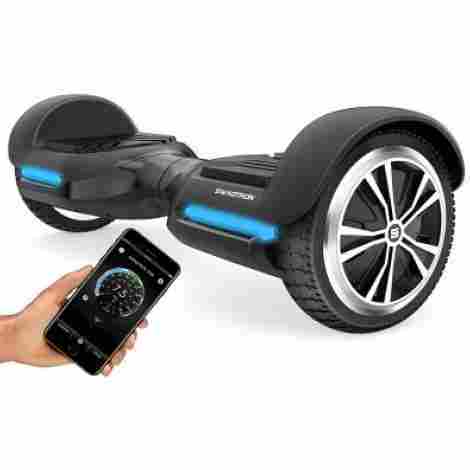 The price of the Swagtron T580 offers a functional and practical hoverboard that suits almost any level of expertise, the features including the Bluetooth connectivity and the powerful motors, all add up to ensure equal balance between cost and value. The Hoverheart board is fully tested and certified to UL 2272 standards and comes in a good choice of color combinations, which is complimented with anti-fire plastic materials for even greater purchasing and usability confidence. It comes complete with a charger and a full guide to help with all manner of setting up and using queries, and even boasts being suitable for all age ranges and all abilities from beginner to expert. The hoverboard has LED light up wheels that flash when operated with extra front lights too, and also offers Bluetooth connectivity with the ability to play favorite music through a speaker when on the move. The weight limit is recommended for up to two hundred twenty pounds and the range boasts being for over ten miles whilst maintaining a good ten miles per hour speed. The sturdy hoverboard is built for long lasting durability. 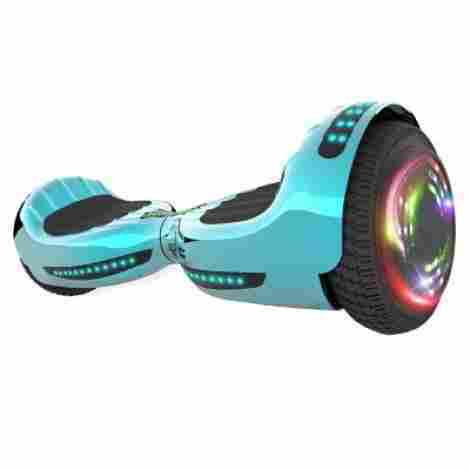 This hoverboard is offered with a great range of benefits including the competence and age range versatility, the appealing LED lights on the wheels and on the front, all combine to ensure that this fun and safe product is well worth the money paid for it. This hoverboard is measuring in at a practical one hundred eighty by one hundred seventy by fifty-eight milimeters and has eye catching lights on the front boards. Available in a good choice of colors, this hoverboard is offered as being easy to use and provides adequate stable control when in use. It benefits from being able to turn on a complete three hundred eighty rotational spin and is sensitive enough for every ability. It is powered by powerful brushless motors that are a practical five hundred wattage for a better run, the UL certification provides greater confidence in the overall product. 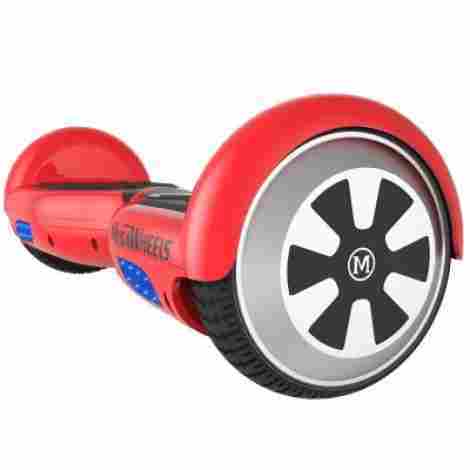 The Mega Wheels hoverboard has a handy ST Chip included that raises a speed alarm when going fast, and also offers low-speed protection through its placement in the mainboard. The board has a functional Bluetooth speaker, so the music can ride along for miles with it. The hoverboard can carry weights up to two hundred twenty pounds without losing any stability, and it has a distance range of up to ten kilometres. A comfortable top speed of seven point five miles per hour is offered as part of the fun. When considering the balance between both cost and value, the recognition of the UL 2272 certification along with the fun aspect features like the lights, it is clear that both are reflected equally; and this is good value for money. CHO offer this hoverboard in five striking color combinations; purple/chrome, gold/chrome, green/chrome, pink/chrome and blue/chrome. The solid rubber tyres on six-point five-inch wheels benefit stable and smooth riding and the board comes with the UL 2272 certification for confidence in the overall safety and usability of the product. It not only has lights on the front of the board but also boasts top rim LED lights that flash. It also boasts a built-in speaker so music is available for playing straight from a cell phone for a more personalised ride. On a full battery charge this CHO hoverboard can cover up to ten kilometres and reach speeds of up to twelve kilometres per hour. This gives it improved scope and allows a longer ride to be planned without the worry of a flat battery. The overall run time from charge is three to five hours, so that longer route is more accessible, the Bluetooth connectivity gives the added bonus of tunes whilst riding and the speakers are stereo for an improved sound. Overall the considerations that enable full qualifying balance between both cost and value take into account the connectivity, the range and use time covered with the CHO hoverboard, it is justified to say that both are well-represented and this is a great hoverboard for the money. The TOMOLOO hoverboard is fully tested and certified to UL 2272 for greater confidence in the purchase, the tyres have an appealing light system in the center which flashes as the board is moved; and change in sequence depending on the music and the personal preference settings. It has Bluetooth connectivity with a range of up to thirty-three feet and the stereo is V four-point two sound quality. The six-point five-inch wheel size boasts a minimum turning radius of ten degrees. The hoverboard itself only weighs seventeen-point six four pounds so is not too heavy to carry when the use of the board becomes restricting or through law regulations. The weight it can comfortably carry is set at a maximum of two hundred twenty pounds. The hoverboard has a stylish foot board design that incorporates the lights both at the front of it, and in the center between the feet. The swirling waves design is unique and circles the pressure pads in an eye pleasing manner. The cost and value of the TOMOLOO hoverboard is justified when considering the great features including the stylish board design, the unique light positioning and the range offered, this hoverboard is great value for money. 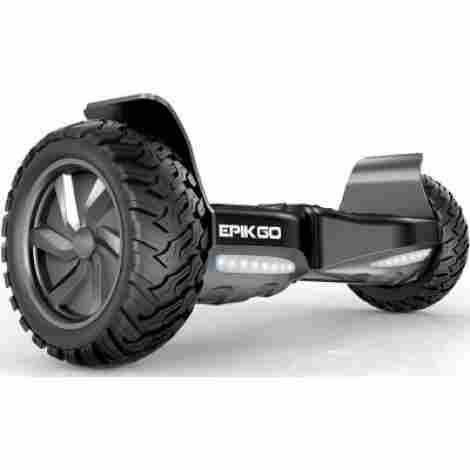 The EPIKGO hoverboard boasts being one of the larger boards on the market, giving more foot room for better comfort and improved control when riding. The solid rubber tyres and eight-point five alloy wheels give the board a sleek, professional look that offer an IP56 rating for waterproofing purposes. The UL 2272 certification is complimented with a UL 2271 certification that also covers the smart battery in testing and safety aspects. The board benefits from a pair of four-hundred-watt motors that boast improving efficiency for climbing slopes with an incline of up to eighteen degrees, and also boasts being able to ride over challenging and even rough terrains. This board offers a range of over ten miles and offers the additional capability of being able to ride over water and grass so makes it a much more versatile hoverboard especially when the surface is prone to alteration. The larger size and improved capabilities of the EPIKGO hoverboard, and the double complimenting UL certifications, ensure that safety is paramount in the production and this makes sure it is an excellent purchase for the money. This hoverboard is fully covered with the UL 2272 tested certification, it boasts a cruising speed of up to eight miles an hour comfortably, and that it has powerful but quiet three hundred fifty-watt motors for a more peaceful ride. This also offers up to sixty minutes of continuous running time and is suitable for persons weighing up to two hundred twenty pounds in relative comfort. The foot pressure pads are made with safety in mind and are manufactured using anti-slip rubber to help and reduce the risks of slipping in damp conditions. The Razor Hovertrax has a cool blue LED light bar for display appeal, and an LED battery life indicator so reduces the risk of running out of power before the journey even begins, plus; it features neat fender bumpers for improved appearance. The board has a handy setting mode that allows for a different level of user competency, it has a starter training mode for better safety, and for when confidence is built is can be switched to the everyday normal use mode. Considering the relative balance between both cost and value; and taking into account the appealing design and added safety certification, it is a justified and equal balance between the two and this is a sound hoverboard for the price. This stylish hoverboard is available in a good range of color combinations and is fully tested and certified to UL 2272 standards. It is manufactured using aircraft grade aluminium alloy and this provides a substantial framework for heavier load bearing capabilities. It boasts six-point five-inch rubber tyres which reduce sliding and slipping and give it a comfortable but stable ride, it also has Bluetooth connectivity and a speaker to enable playing favorite tunes during any ride. The Levit8ion ION hoverboard has a substantial fifteen to twenty-kilometre range, and this is complimented with an impressive fourteen kilomteres per hour maximum for a more exhilarating experience and a longer run. The hoverboard has an impressive LED panel lighting system that is sleek and clean in appearance and improves visibility. And as a bonus feature, it has specially manufactured non-slip foot pads to reduce the risk of accidents whilst riding. 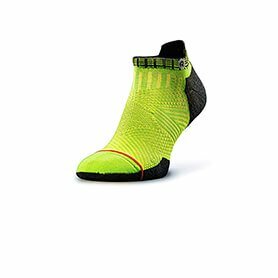 When considering the longer than average range this offers, along with the increased speed, and also taking in the UL certification and added safety features like the non-slip foot pad, it is easy to justify and equalize both cost and value when purchasing this product. This sleek looking stylishly designed hoverboard is available in five striking color combinations; chrome/black, gold/rose, pink/chrome, blue and rose. It has a ring of flashing LED lights in the center of each six-point five-inch wheel, which improves visibility in changing light conditions and also benefits from full UL 2272 tested certification. 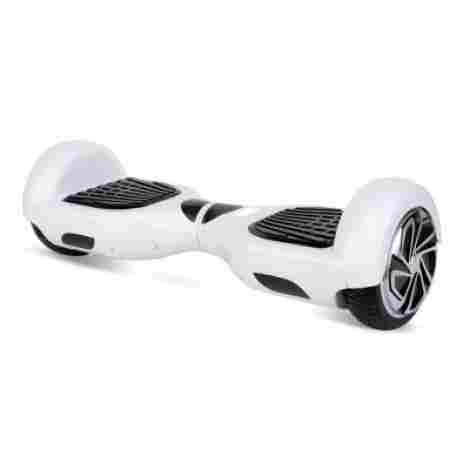 The board has a capability of a full three hundred sixty degree turn; and boasts a maximum climb angle of five degrees. The Xtremepower US hoverboard has full Bluetooth connectivity so enables music to be played whilst riding with a connection to any cell phone. The design cleverly incorporates fenders over the wheels so there is little chance of getting jammed and stopping suddenly. 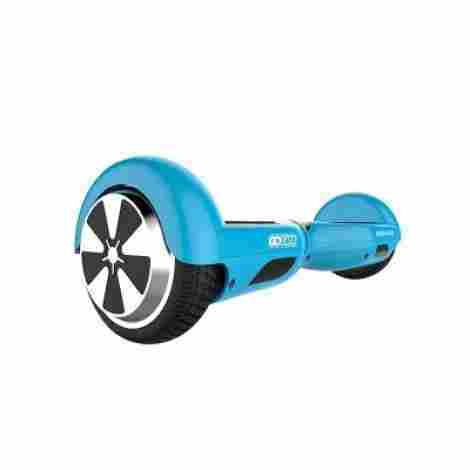 The board has unique solid non-slip foot pads that improve safety further and reduce the risk of slipping and falling, the overall charging time benefits from being a mere two to three hours and offers a range of between nine and twelve miles. The Xtremepower US hoverboard is competitively priced when considering the functional and practical features it has, the sleek and smart design and overall usability ensure this is well balanced on both cost and value and is an excellent buy. So, are hoverboards real and is that the right thing to call them? In a few words; the jury is out on a definite answer, some are sticking with the hoverboard name whilst others prefer to call them a self-balancing scooter. Fact is of course, sometimes stranger than fiction so do you really ‘hover’ when using one? Practically speaking, you don’t actually hover because the hoverboard wheels are touching the floor, but for the sake of bending the obvious a little – you are on a board that is hovering over the surface, even if there are wheels at each side of it. Many famous faces and names enjoy riding the hoverboard, and they are fast becoming highly sought after, but beware if you are new to this sport – it does take practice and patience but stick with it, it’s well worth the hard work. Essentially there are two main types of hoverboard available to purchase today, one is simply #the board’ and the second is the ‘Airwheel’. Both use sensors and pressure for the operation side of things, but they differ in how they look and what kind of control you need to exert to use them appropriately. The board hoverboard is similar to the skateboard except it is not ridden sideways – you ride it forwards and the two large wheels are either side with a center placed hinge. There are pressure pads for your feet which, once pressed with your feet; will move forwards, and the same in reverse, if you lean back on the pads the board will go backwards too. The same principle is relevant when pressure is placed on the left or right foot, either pad that has the most pressure will determine the pull to which side. An AirWheel board has one or more wheel but the placement is in the middle of it and not at the ends, it is self-balancing and is a bit trickier to learn to ride than a board, it uses whole body movements to adjust the direction and can affect which way you end up going. They have paddles on either side of the wheel for your feet and this makes them stable when your feet are placed correctly and in total balance. When you see the perfect hoverboard, before you rush in with your hard-earnt dollars – take a minute to check two areas of weight specifications. The first is the weight the board can actually carry safely, this may vary between different types although a modern design should easily be able to carry up to one hundred kilograms with no problems. Weighing more than that shouldn’t be cause for too much concern because they are designed to be tough and capable of holding plus this weight. If you are concerned, it may be better to choose a board with a bigger wheel or even take the time to talk to an expert in the field to make sure you are buying safely. The weight of the hoverboard itself should also be a consideration for you, they are amazing to ride but you will be hard pushed to find somewhere that doesn’t require you to pick it up and carry it at some point on your journey. As a general guide, they often weigh between ten and twelve kilograms so are quite hefty and bulky to carry. You may want to consider where you will be using your hoverboard and for how long to allow you to choose the weight more specifically to fit your own needs and requirements, as well as your own capacity for being able to carry it. Generally, many hoverboards have a wheel size between six-point five and seven inches in diameter, this makes them lighter but offers a bit less stability when tackling uneven surfaces, they are a little more unsteady and tricks are harder to master with this size of the wheel. Larger sizes are becoming more available, with some being between eight to ten inches, this small size difference makes them a bit more stable and is smoother to ride on bumpy surfaces. The single wheeled AirWheel board offers a size of between eleven and fourteen inches, and due to its central position on the board, makes riding rough and uneven terrains a bit smoother and easier to ride on. Different hoverboards offer variable ride ranges and speeds, and new technology is improving this constantly, the range your board has can depend on the charge it has the capacity to hold and for the time it allows for use before it is all discharged. Of course; you should always endeavor to make sure your board is fully charged before you go on your ride to make sure you don’t end up getting the bus home carrying a flat board. 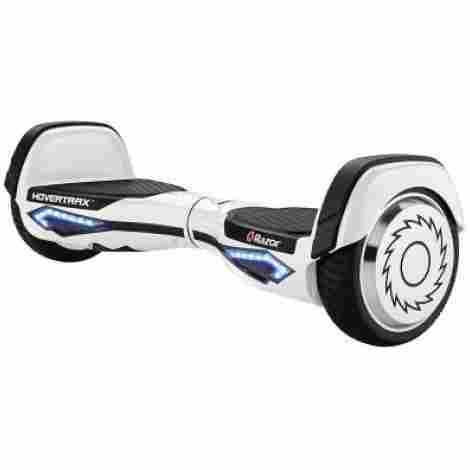 As a general average, most hoverboards offer a speed of anywhere between two to ten miles per hour, this can be variable, however, depending on what brand you purchase, the cost of the board, (yes, unfortunately, higher price ranges do increase speed and range capabilities,) and your own weight may affect the speed you can expect from your board, for instance if you are lighter it may go faster, and likewise if you are on the heavier side – this may have a reducing effect on the speed you can expect to reach. There are add-ons you can adorn your hoverboard with if you feel the need, these are not conducive to the riding and running experience or capabilities but are appealing non-the-less. 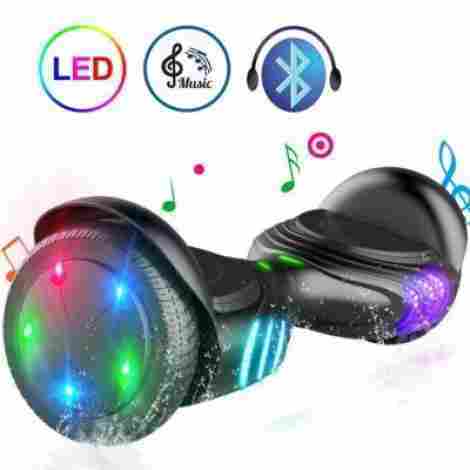 You can get hoverboards with GPS, for the more adventurous of us who do not trust the cell connectivity, and for the music lovers – there are even boards with speakers built in and optional Bluetooth speakers. One thing to bear in mind though is that the gizmos that make your ride more enjoyable – they will have the drawback of extra weight which will drain the charge faster and may even affect your overall speed. One last thing you may want to think about before you splash the cash is just how much you are going to use your board and where you are planning to use it. 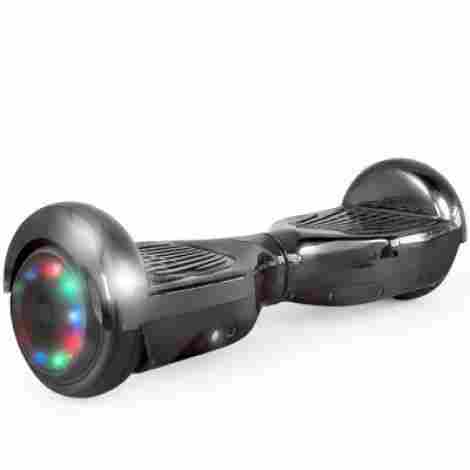 Is it practical to buy a top of the range board that you will only use once in a blue moon for instance, and if you plan to use a hoverboard in built-up urban areas you have to check local by-laws to ensure their use is permitted. There is little use buying a board if your chosen area or route does not allow the use of them on public highways, paths or in busy areas. The reality check here is just a process of checking again and again where you live, and what, if any, restrictions are in place that can affect your hoverboarding. And this is the point where you need to think about the weight of your board again, say if you can only use it in certain areas of your chosen route, is it viable that you can carry the board safely, securely and without injuring either yourself or anybody else? These may sound like trivial niggles but; forewarned is most definitely forearmed and if you stop and think before you ride, you will get more out of your chosen activity for longer periods in safety. Q. Do they take long to learn how to use? A. That depends on each person and can vary, but once you have mastered the initial balancing you can be up and running in practically no time at all. Q. How long does a normal charge hold for? A. A full charge should last anywhere between ten to twelve miles, but this can vary depending on the surface you are travelling over and your own weight. A. They aren’t. You shouldn’t ride them in rain or through water, but light sprays should not be too much cause for concern. Q. Is there a certified safe battery charger available? A. Although many chargers contemporarily are safe to use, most hoverboards you can purchase today will have UL certified chargers and/or battery pack, this ensures that it has been tested and approved by the Occupational Health and Safety Administration. Q. I’ve heard that hoverboard is not the correct name for these products, is that true? A. Technically speaking; they don’t really ‘hover’ because there are wheels between the board and the ground, but this doesn’t detract from the common use of the term hoverboard. Some people prefer to call them self-balancing scooters as this seems more appropriate to them. Q. Can I leave it on charge overnight? A. This isn’t recommended as they really need to be unplugged as soon as the charging has completed to reduce over-heating and the possible risk of fire. Q. Will my hoverboard ‘turn off’ on its own? A. A proper hoverboard will go into safe sleep mode when it isn’t used for a while. A. The main principle for riding a hoverboard is balance, once you can balance any forward tilt or backward tilt will make the board go in that direction. The pressure pads on the board are sensitive and if you place more pressure on your left or your right then the board will go in that direction. Q. What’s the easiest way to learn? A. There is no simple quick fix for learning how to ride a hoverboard. But if you can hold onto something whilst you get the feel of the board and to raise your ability to stand you will be well on your way, Trial and error is the only way forward and riding a hoverboard is like riding a bike – get the balancing right and your confidence will grow over time to allow you to move freely and enjoy the ride. Q. How does a hoverboard self-balance? A. The hoverboard contains tilt sensors located in the wheels and these then pass information on tilt to a gyroscope, depending on how far you are leaning or tilting the motor will regulate its own speed to maintain a center of gravity that keeps it balanced.